Nothing screams fall than all things pumpkin. 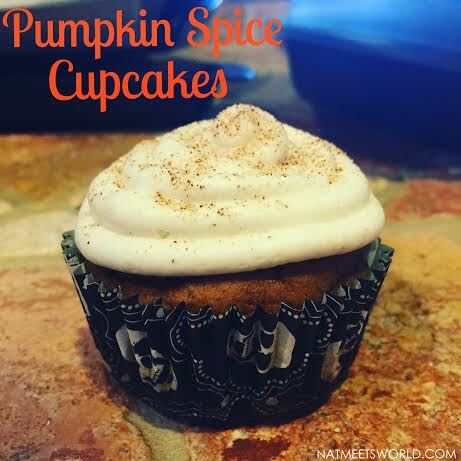 I know what you’re thinking…..yes, I love all things pumpkin and I actually enjoy trying all of the seasonal changes in flavors of everything on all of the aisles of the grocery store. 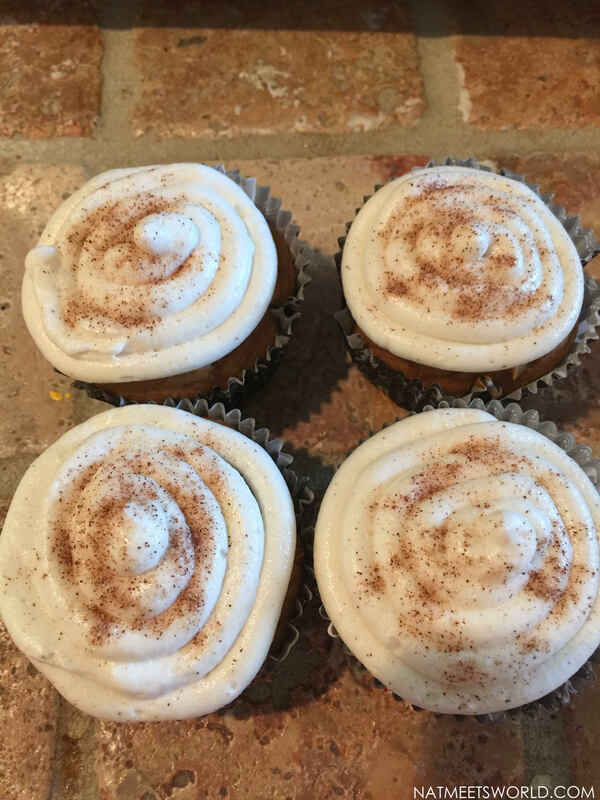 While everything that tastes like pumpkin is great, Pumpkin Spice cupcakes are an annual tradition at my house and everyone loves when I whip out my baking tools to make this tasty treat. If you’re looking for a recipe or just want to try something new, you can’t go wrong with what I have for you! I always start off with some great fall or Halloween themed liners. I found these cute skull ones at Michaels. The pumpkin spice recipe I always go to is from Skip To My Lou. These are meant to be muffins, but they are sweet enough to be iced and presented as a cupcake. In addition to the three ingredients listed on this recipe, I add a pinch of almond extract, 1/4 cup of almond milk, and 1 teaspoon of cinnamon sugar. This gives it a little more sweetness and flavor. Now what is a cupcake without some killer frosting? No one does a bomb cream cheese frosting like The Merchant Baker. I’m not a fan of cream cheese icing that is too ‘cheesy’ in taste, so I prefer a more creamy flavor. You can’t go wrong without this fool-proof recipe. It is so incredibly delicious, and it is my family’s favorite part of my dessert. I always sprinkle it with some cinnamon sugar for garnish too. These are perfect for enjoying the new season or even for a get together! I hope you get to enjoy these as much as I do!